Amos Blanton is the online community coordinator for Scratch. He designs and sustains supportive learning environments for people with agency. 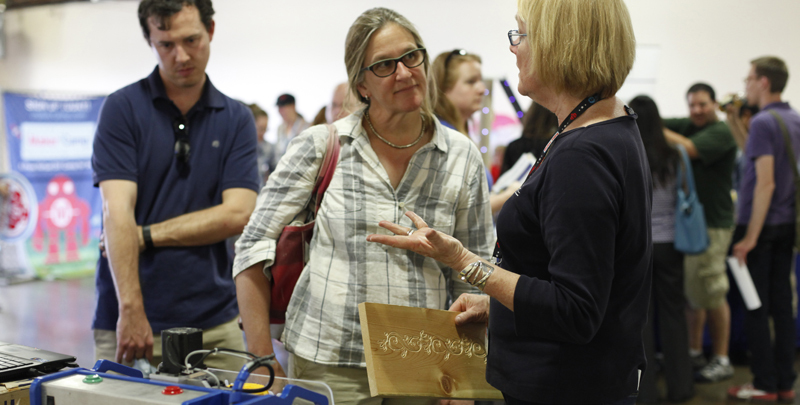 After the Making Possibilities Workshop on Thursday, more than 200 educators descended on the grounds of Maker Faire in the throes of setup to enjoy our annual Educators Meetup. 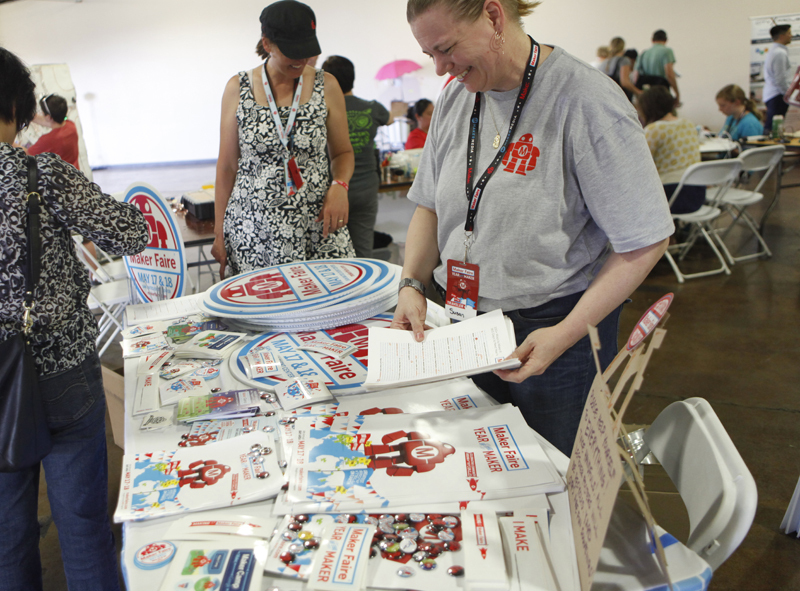 Folks from ShopBot, EEME, Circuit Stickers, Lighthouse Community Charter School, City X Project, Maker Camp, and others were on hand to talk about more ways to bring tools and making into schools and libraries. 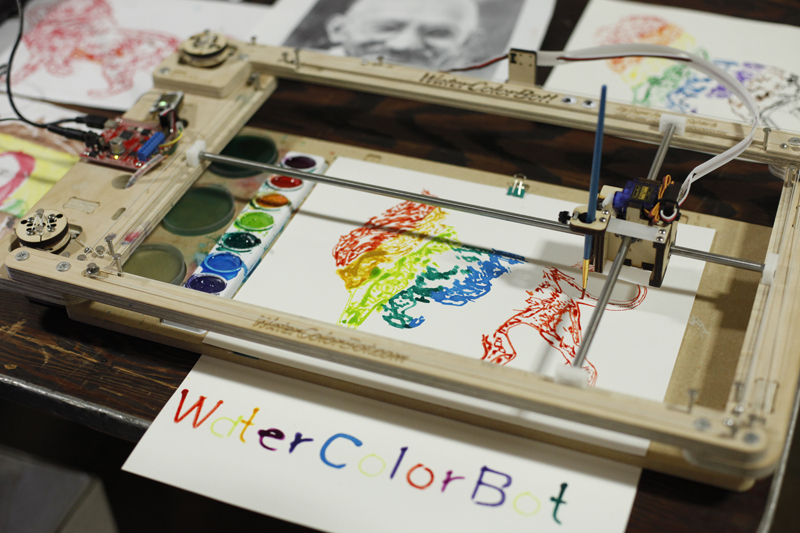 And some surprise additions: a Rube Goldberg-based app called Rube Works, Super-Awesome Sylvia and her WaterColorBot, and Strawbees & Makerstation Creatables. The event offered time and space to have making in education conversations with each other, and 40 educators explored Arduino for the first time in two very popular, two-hour Beginning Arduino Workshops, taught by Michael Shiloh and Judy Castro of Teach Me to Make. The Exploratory coached a couple dozen teachers in making e-textiles. Sylvia Martinez and other speakers from the Making Possibilities Workshop were on hand to continue conversations started earlier in the day and make connections. At the end of the day, everyone enjoyed a special, sneak preview tour of the Maker Faire grounds as led by our Maker-in-Chief, Sherry Huss.